Duane and Gretchen Pippitt are life long Oregonians and have been faithfully ministering the Gospel of Jesus Christ for nearly three decades. They live in Redmond Oregon where they lead a community of believers in following Jesus wholeheartedly. They've been married nearly 40 years, and have two grown children with families in the area. Duane currently is serving in his third term as a Network Presbyter of the Oregon Ministry Network of the Assemblies of God helping oversee the nearly 200 churches throughout our state. 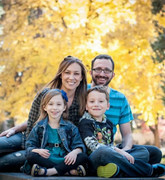 God has given Duane and Gretchen the powerful and practical mandate to see the city of Redmond touched with the faith, hope and unconditional love of Jesus Christ. They have seen countless lives transformed by the love of Jesus and the uncompromising message of His Cross. 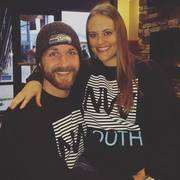 Jeremy and Erin Hocker are long time Oregonians who are passionate about seeing generations become lifelong followers of Jesus. Jeremy is a dynamic speaker communicating the lifesaving message of Christ in a relevant and powerful way. Jeremy helps with preaching, teaching, and overseeing various ministries. He and his wife, Erin, have been married since 2001. They have two amazing children – Ethan and Emmrie. Jeremy served as the Youth Pastor for over thirteen years here at Redmond Assembly. Jeremy has recently transitioned into our Associate Pastor roll and has a desire to focus on discipleship / leadership training. Jeremy is devoted to studying God’s Word, living in obedience to it, and strives to lead others to find their passion to do the same. Bryan joined our team in October of 2016. He and his wife of ten years have been in ministry since 2004. They are passionate about seeing the youth of today encounter Jesus Christ. Bryan and Jamie have two young children; their son Beniah who was born in 2014, and thier daughter Presley who was born in 2016. They love to travel to the beach as a family, enjoy the outdoors, and watch movies together. Bryan and Jamie are avid coffee drinkers and welcome anyone to sit and chat with them about life. We practice two ordinances - (1) Water Baptism by Immersion after repenting of our sins and receiving Christ's gift of salvation, and (2) Holy Communion (the Lord's Supper) as a symbolic remembrance of Christ's suffering and death for our salvation. We believe that the Holy Spirit was sent into the world by the Father and the Son to apply to mankind the saving work of Christ. (John 14:16-17) We also believe in the Baptism of the Holy Spirit with the initial evidence of speaking in tongues (unlearned languages) as God enables (Acts 2:4) where we receive His power to become witnesses of Jesus. Sanctification Initially Occurs at Salvation and is not only a declaration that a believer is holy, but also a progressive life-long process of separating from evil as believers continually draw closer to God and become more Christlike. who are lost in sin as well as work together to meet the needs of others with love and compassion. the establishment of universal peace. have accepted Him will dwell forever.